Why can't the biggest tech players get it right? How are those smartwatches selling? Maybe don't ask Asus right now. Or Motorola. And if you see a certain Huawei CEO, I'd recommend keeping schtum. If the latest report is to be believed, Asus is about to make an exit from smartwatches due to ailing ZenWatch 3 sales. Though it's yet to comment on these rumors, supply chain sources reckon Asus is pushing just 5,000-6,00 watches a month. Market watcher gap intelligence also has reason to believe Asus's latest and greatest isn't flying off shelves. "According to gap intelligence data, the new Asus ZenWatch 3 never entered the US retail channel after its predecessor, the ZenWatch 2, was carried by Best Buy," gap market analyst Jackson Somes tells Wareable. "This is not a good sign for the success of their smartwatch product"
If it is backing out, it's not alone - but as the big tech players let precious sales slip through their fingers, fashion companies are just below, scooping up the riches. Enter Hugo Boss. Tommy Hilfiger. Guess. Movado. Michael Kors. Not to mention hybrids for miles, all moving into this space. Fossil has gone all in on the smart wearables (again) with approximately one trillion devices set for this year, while Tag Heuer tripled its own sales forecast on its high-end Connected watch, surprising itself and, admittedly, us. Now it's taking another swing with the Connected Modular 45, and there's every chance it'll continue this trajectory. So why are so many of the big tech names floundering? 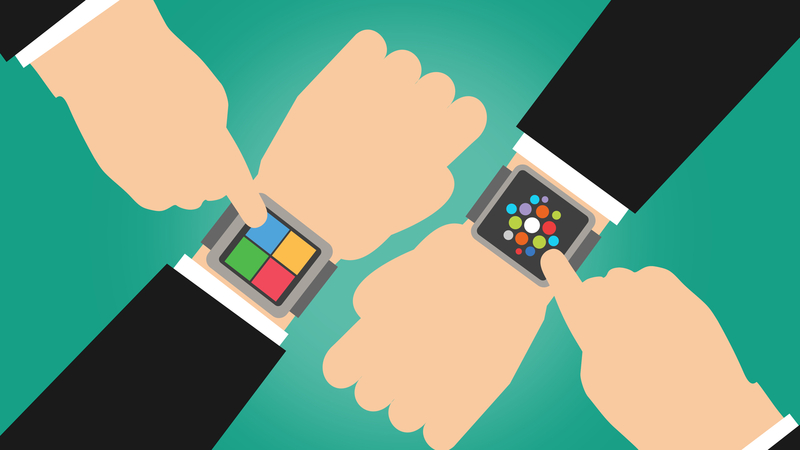 "These companies were not necessarily attracting a new group of customers outside of their existing consumer base with their smartwatch products," says Somes. "As sales did not meet demand they opted to pull out of the fledgling smartwatch space." "The more notable aspect to the influx of fashion vendors means that the early tech brands will face a new set of hurdles if they decide to return to the smartwatch market. Compared to a designer watch company, what value proposition would Motorola offer a customer when nearly all Android Wear smartwatches carry the same components?" It looks like we're seeing this play out right now. Making a piece of tech beautiful is a challenge, but Android Wear has lowered the stakes for fashion and traditional watch companies who want to do it the other way around. Perhaps Wear's biggest virtue won't be in what it does for Google, but what it does for the greater good of smartwatches. It's keeping the wheels turning for now, lowering the bar for others to try their hand at making wearables, but there's no guarantee it will last another five years. If Swatch is building its own OS, what's to stop Fossil one day doing the same? Or for Swatch's software to take the place of Android in some devices? And another question on our lips: where does all of this leave Apple? Cupertino clearly saw this coming, but even it isn't completely guarded against the onslaught of fashion companies. Some people might have scoffed at Apple vying for Anna Wintour's approval back when the Apple Watch first hit the scene (has anyone seen her with one since? ), but by cozying up to the fashion world it's no doubt done itself some favors. It's sitting pretty now, but the competition is changing, and if it wants to keep on top, its hardest days might yet be ahead.